Partnering to improve education efficiency and effectivity on a global basis. Both companies recognize that flexibility and scalability are two of the core fundamental attributes of modern day technology. 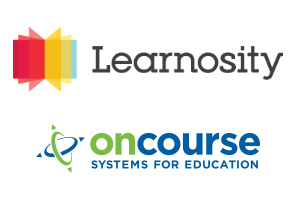 OnCourse Systems for Education, a full-service provider of web-based tools that automate and streamline educational processes for public and private schools, today announced its strategic partnership with Learnosity, a leading provider of B2B SaaS assessment technology. OnCourse Systems is the most recent company to join forces with Learnosity in its mission to improve learning and education on a global scale. This partnership will see the implementation of Learnosity’s assessment capabilities into OnCourse’s existing robust web-based software solutions. With intuitive authoring, powerful analytics and over 55 Technology Enhanced Items (TEIs), Learnosity shortens development cycles, effort and time to market without sacrificing quality or value. Learnosity works with many of the top names from K-12 and higher education as well as test preparation and corporate training and learning institutions. The company has expanded significantly in the last year, with over 50 dedicated staff spread over 3 cities – Dublin, New York and Sydney. For further information on Learnosity, visit: http://www.learnosity.com or contact media@learnosity.com. Founded in 2002, OnCourse Systems for Education is a full-service provider of web-based tools that automate and streamline educational processes for public and private schools. OnCourse's suite of tools helps improve student performance and support school accountability by enabling teachers to work more efficiently and effectively, giving administrators access to classroom data and the ability to analyze it, as well as helping districts document compliance with federal and state standards. For further information on OnCourse Systems for Education, visit: http://www.oncoursesystems.com or contact info@oncoursesystems.com.